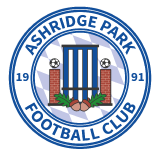 Welcome to the 2019 Festival of Football that is the Ashridge Park Football Club Tournament. U7's, U8's, U9's, U10's, U11's, U12's, U13's, U14's, U15's & U17/18'S NOW SOLD OUT. In fact it's probably easier to say we only have the U16's left with places to fill. PLEASE EMAIL NEIL PATTERSON WITH YOUR DETAILS TO BE ADDED TO THE WAITING LIST. Admission, programme and parking £3. Once you’ve hit Submit you should get an automatic email acknowledgment. If you don’t get one please email Neil Patterson and he will reply to you.